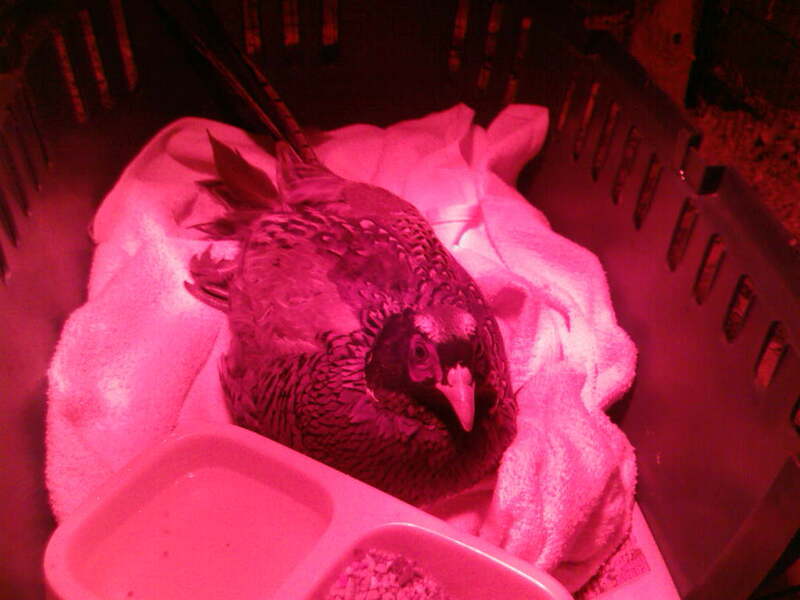 This pheasent was hit by a car and had paralysis of the limbs. He was treated for shock and put under a heat lamp. He survived the night and seemed to have sensation in his feet but unfortunately died later on the following day.